Come to Brandon Honda in Tampa, FL to explore the 2016 Honda CR-V! 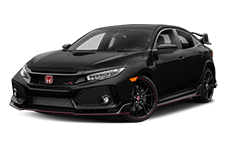 This compact SUV has been one of America's favorite sport utility vehicles for many years, and it will be yours, too, after you test drive it at our Tampa Honda dealership. Brandon Honda has a wide selection of new CR-V models in stock now, so why not come down and see what they have in store for you? We are located in Tampa and serve all of Florida, including the greater Tampa Bay area. The 2016 Honda CR-V is a great vehicle whether you have a family in tow or tend to ride solo. The Kia Sportage tries, but it always comes up short against the CR-V. The 2016 Honda CR-V is powered by a 2.4-liter four-cylinder engine that is both efficient and powerful. In its front-wheel drive configuration, the CR-V can earn up to 26 miles per gallon in the city and 33 miles per gallon on the highway. With AWD, the CR-V still delivers excellent fuel economy; an estimated 25 miles per gallon city and 31 miles per gallon highway. The Kia Sportage has either a 2.4-liter I4 or a turbocharged 2.0-liter I4 under the hood, but neither engine gets better fuel economy ratings than the CR-V; with FWD the 2.4-liter engine gets 21 city 28 highway but with AWD those numbers fall to 19 city and 26 highway. The 2.0-liter engine is smaller, but only gets 20 city and 26 highway with FWD and 19 city 25 highway with AWD. The CR-V is the winner, here! Both the 2016 CR-V and the Kia Sportage are classed as small SUVs, but the CR-V knows how to use its available interior space to its advantage. The total passenger volume for the CR-V is 104.1 cubic feet while the Kia Sportage offers only 100 cubic feet of passenger space. The CR-V's larger cabin area provides more space for all seating positions front and rear, which makes for a comfortable, whine-free ride for everyone on board. Cargo space is an important thing in an SUV, and the 2016 Honda CR-V has a lot of it. Behind the second row of seats you have 37.2 cubic feet of space for cargo when you need all five seats open for passengers. If you are only carrying two people and need more space, the rear seats fold easily and completely flat into the floor and open up 70.9 cubic feet of space for anything you need to haul. 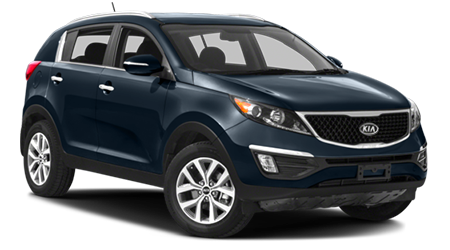 The Kia Sportage only has 26.1 cubic feet of cargo volume behind the rear seats and 54.6 cubic feet behind the front seats for cargo. The point goes to the 2016 Honda CR-V! 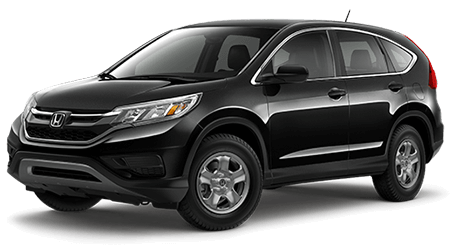 Visit Brandon Honda in Tampa and find a Honda CR-V that fits your driving needs. 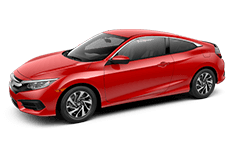 We have a great inventory of new Honda cars for sale in Tampa, so head down today from anywhere in the Tampa Bay area to check out what a new Honda can do for you!